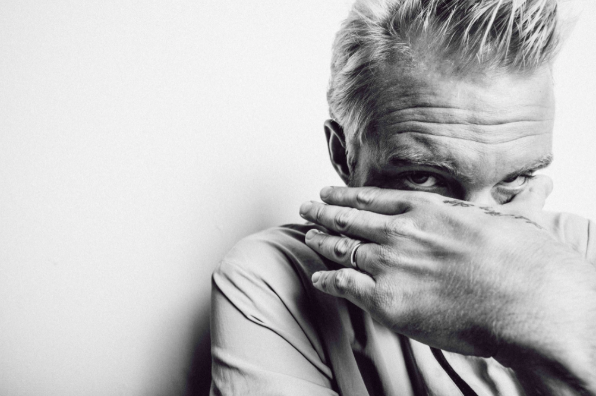 Ed Drewett is one of pop's hidden architects. As a songwriter he's worked with some incredible people, crafting colossal hits for the likes of Little Mix, One Direction, Olly Murs, Craig David and many more. Along the way, though, he's yearned to express something personal, and this appetite comes to the fore on new album 'Ten'. His solo debut, it's laced with subtle pop references, bound together by a lasting love for music in all its forms. 'The Unfortunate Gent' is a literate, witty return, pop with real depth, while remaining resolutely accessible. "Honestly, we had no idea how this video would turn out, there was no treatment at all. I ended up doing three music videos in one day with the brilliant Lewis Knaggs. When it came to this video, all I knew is that I wanted to let loose and just see what happened. When thinking about the alter-ego on the song, this kind of maniac, I decided to get into character and have fun. Which is something I’ve never had the opportunity of doing in previous videos, I just thought f*ck it and this is what happened... Enjoy!"